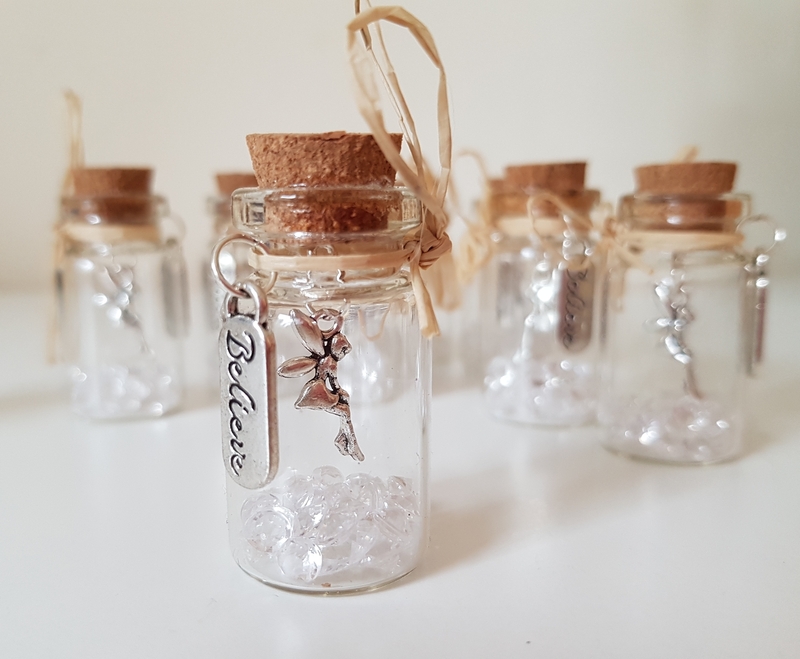 The fairy wish bottle is made from glass, and inside flutters a little silver coloured fairy charm. Beneath her feet she has little clear acrylic scatter crystals. 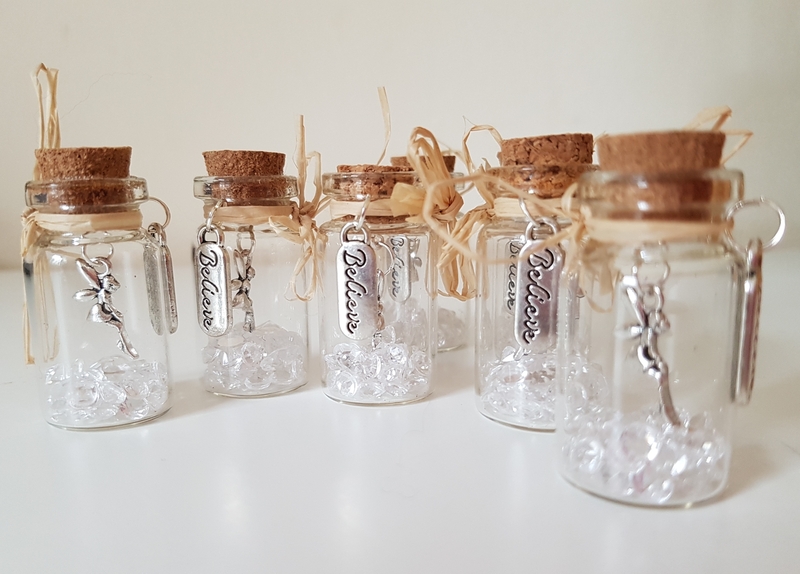 The bottle has a cork stopper, with a silver coloured charm engraved with the word “Believe” falling from raffia ribbon. A beautiful little unique gift for yourself or someone special.